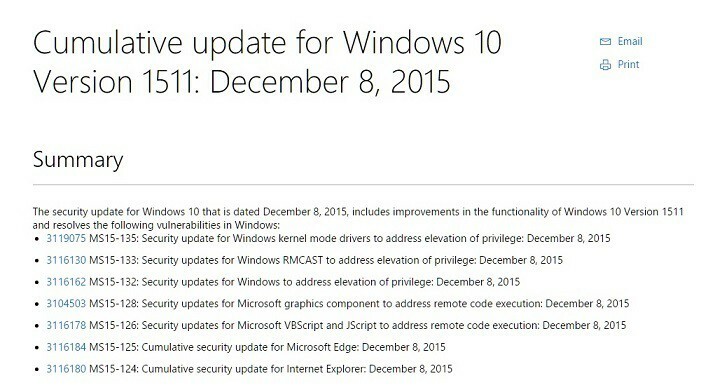 Microsoft has released yet another new cumulative security update for Windows 10 users, which is now here most likely to fix many of the issues and bugs that have been reported since version 1511 made its appearance. Since this a cumulative update, this means ths package contains all previously released fixes. Thus, as some of you probably know, if you have previous updates installed, only the new fixes that are contained in this package will be downloaded and installed to your computer. Besides the above mentioned updates, Redmond also released updates for Adobe Flash Player and Windows Defender and you can install these too like the rest through Windows Update. Also, you should know that after installing this cumulative patch, the build number becomes 10586.29, so that’s how you will be able to know if this update has gone through successfully. For the time being, it seems that there are no bugs or other issues caused by this specific update, but we will be keeping an eye out for this, and if something comes up, we’ll definitely cover it.